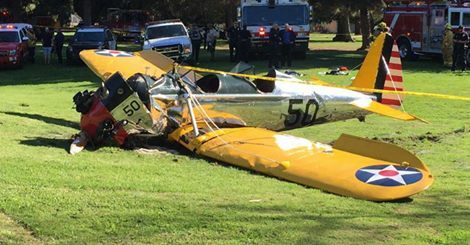 Harrison Ford crash-landed his vintage airplane at a Los Angeles golf course this afternoon. He suffered moderate injuries and was taken to a hospital. The actor’s single-engine plane went down at about 2:30p in the Venice area. The pilot was breathing and conscious when he was taken to a hospital, where he was listed in fair to moderate condition. The 72-year-old Star Wars and Indiana Jones actor is an aviation enthusiast who often flies out of the Santa Monica Airport. Penmar Golf Course, where the crash happened, is just west of a runway there. The plane appeared to be a World War II-era vintage training plane. It was mostly intact after the wreck, and Ford was the only person aboard. Nobody on the ground was hurt, but people rushed the scene and started helping Ford. Harrison Ford (right) is cast to portray swashbuckling space-age soldier-of-fortune Han Solo in his fourth Star Wars movie, set for release in December. The original Star Wars in 1977 made Ford an overnight star who remains an A-list actor with several colossal box office hits in his credits. 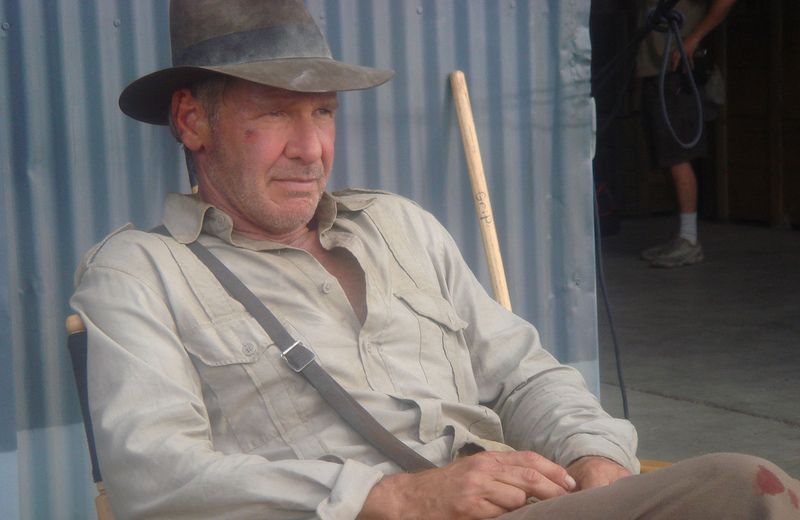 He played whip-slinging archaeologist Indiana Jones in four movies in that series. Ford got his pilot’s license in the late 1980s, and has served as a spokesman to various airline groups. He stepped down as chairman of a youth program for Experimental Aircraft Association in 2009. Our best wishes to the adventurous Harrison Ford. This entry was posted on Thursday, March 5th, 2015 at 5:30 pm	and is filed under Blog by Manny Pacheco. You can follow any comments to this post through the RSS 2.0 feed. Responses are currently closed, but you can trackback from your own site.